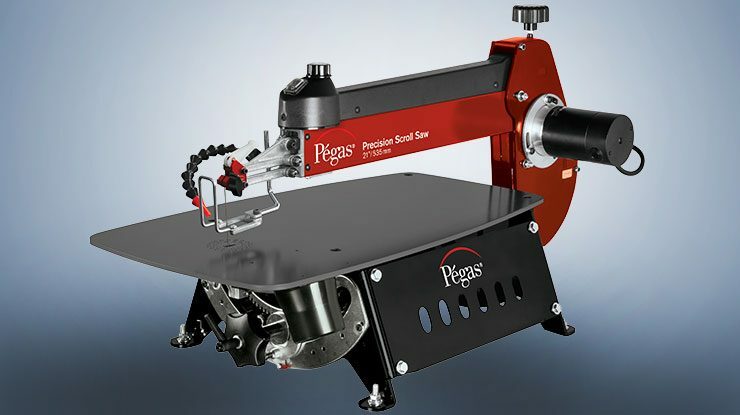 The first branded Pégas Scroll Saw to hit the market does so with a bang, combining Swiss engineering with a proven design to set a new standard for higher-priced saws. 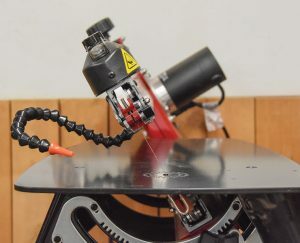 A strong dust blower easily moves sawdust off pattern lines, but the pop-n’-lock joint where the blower nozzle connects with the air tubing is undersized. To tighten the fit and keep the nozzle in position, I wrapped a short piece of tape around the male end of the connection. 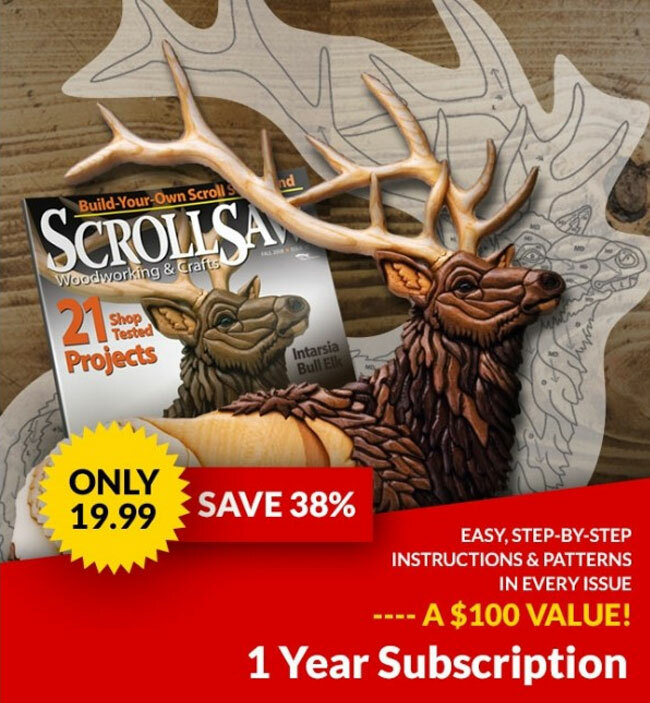 Helpfully, a longer-than-usual nozzle makes positioning the blower easier. 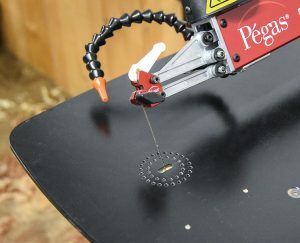 The introductory price for the Pégas saw and stand, $719, puts it in the same range as the King 16″ with a stand ($730), the Hegner 14-E at $795, the at PS Wood 21″ at $799, and the Seyco ST-21 at $879. What sets it apart is the addition of those terrific chuck heads, which keep it running quietly and smoothly at any cutting speed. 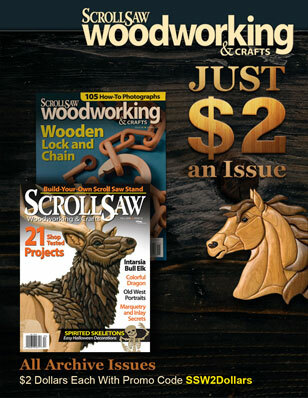 To compare the new Pégas Scroll Saw with similarly priced models, check out our reviews at scrollsawer.com/category/product-reviews/saw-review/.